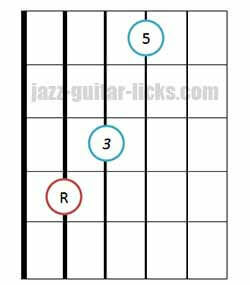 How To Play Triads On Guitar? 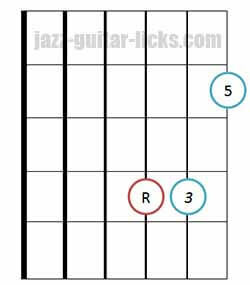 Mastering Triads on the guitar is necessary for any guitarist who want to expand his fretboard and theory knowledge. 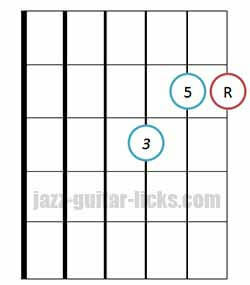 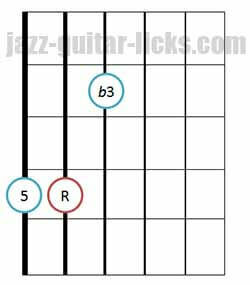 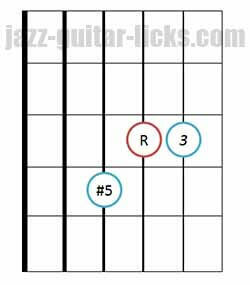 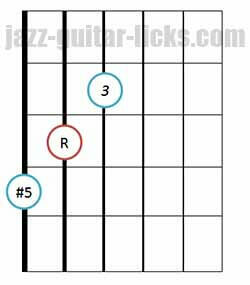 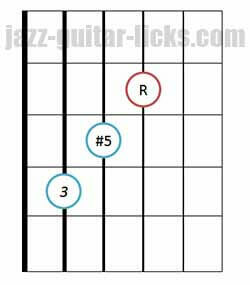 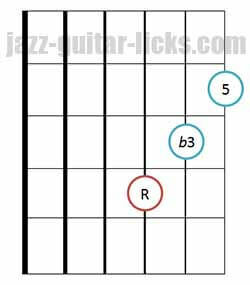 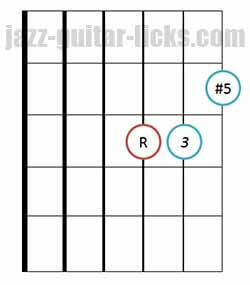 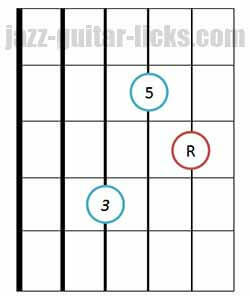 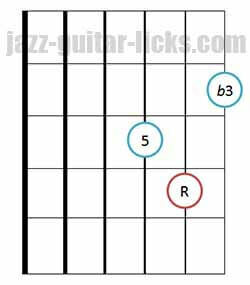 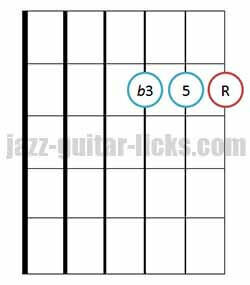 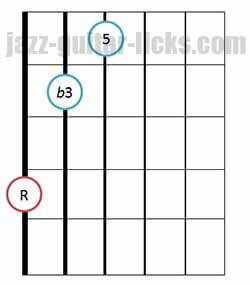 These chords are not really considered as jazz chords because of their basic sound, but they can be efficient tools for comping and chord soloing. 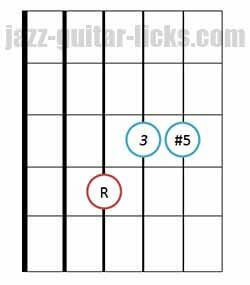 Indeed, the strong point of these chords is the simplicity of learning and playing. 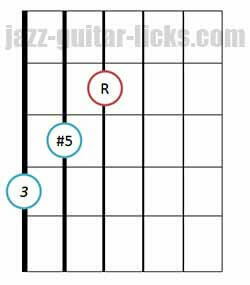 You will find in this guitar lesson 48 chord shapes to play major, minor , diminished and augmented triads. 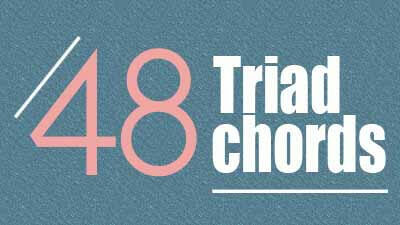 Triad chords, as their name implies, are made up of three notes. 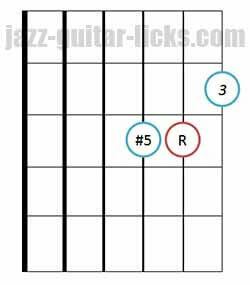 They are divided in 4 categories according to wether they are minor, major, augmented or diminished. 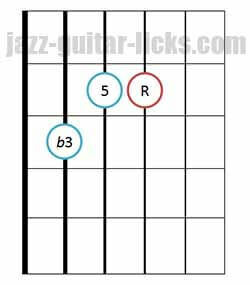 Minor triads are built with a root (1), a minor third (b3) and a perfect fifth (5). 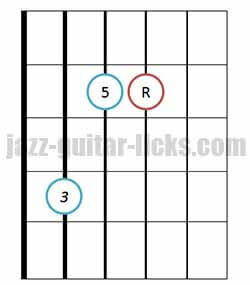 Major triads are built with a root (1), a major third (3) and a perfect fifth (5). 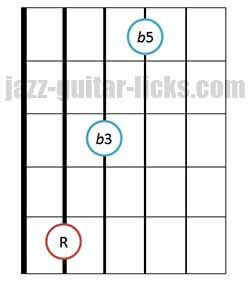 Diminished triads are built with a root (1), a minor third (b3) and a flat fifth (b5). 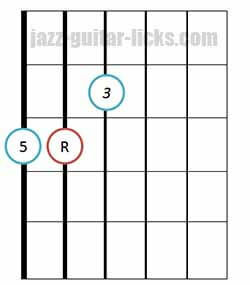 Augmented triads are built with a root (1), a major third (3) and an augmented fifth (#5). 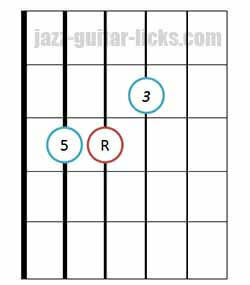 What Are Close Position Chords ? 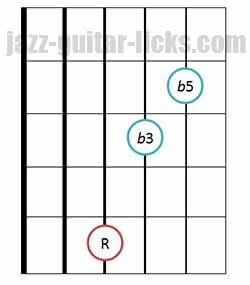 Close voiced chords are chord played with all its tones as close together as they can be. 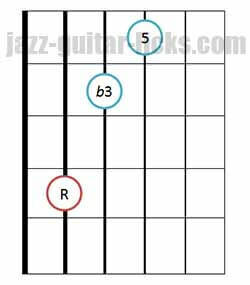 If the notes are spread out, then it is called "open position." 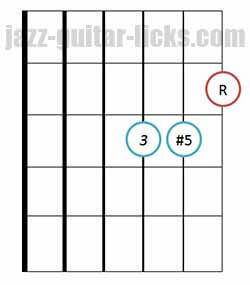 An open position chord has some "air" between one or more of its tones. 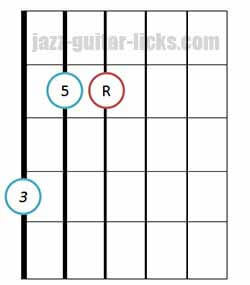 Please note that this guitar lesson contains only "close positions". 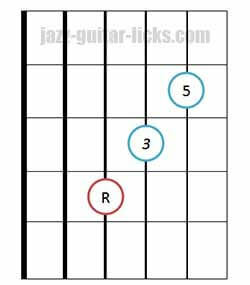 What Are Root Position Chords ? 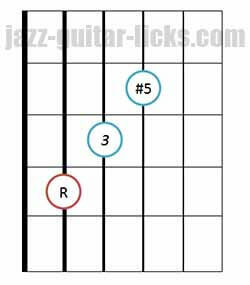 The tones of a root position chords are in the right order, for example, with a major triad : root - third and fifth. 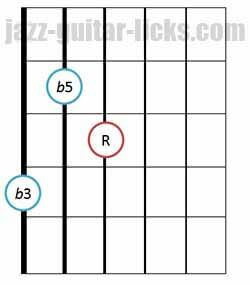 What Are Inverted Chords ? 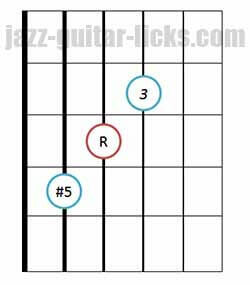 The tones of inverted chords are in a different order than the root positions. 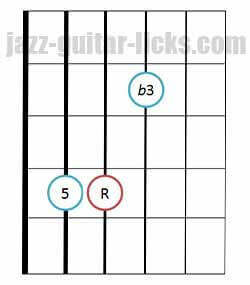 Inverted chords don't have the root note in the bass, instead they have the third or the fifth as the lowest note of the chord shape. 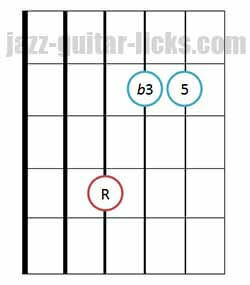 Here is an example with the C major chord built with C-E-G, respectively the root (1), the major third (3) and the fifth (5). 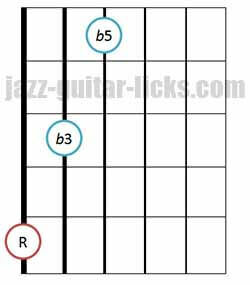 The bass note (the lowest note) is the root. 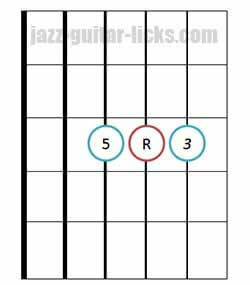 This is the basic position also called "root position". 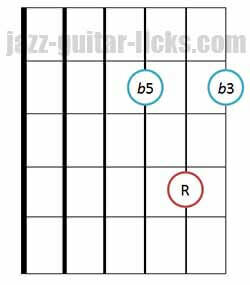 This chord can be inversed in two different ways. 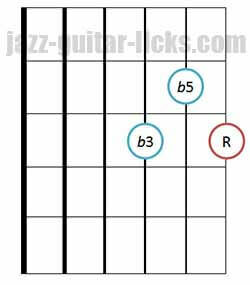 One with the third in the bass and one with the fifth in the bass. 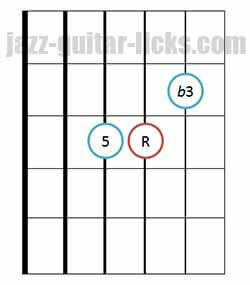 Thus giving two inverted voicings. 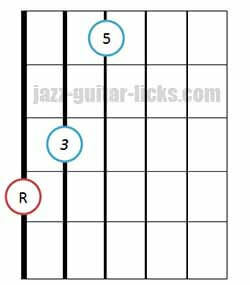 How To Play Major Triads On Guitar? 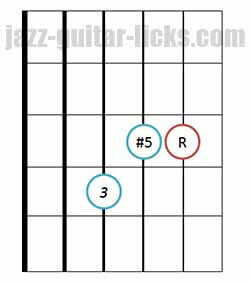 Major triads are made up of a root (R), a major third (3) and a perfect fifth (5). 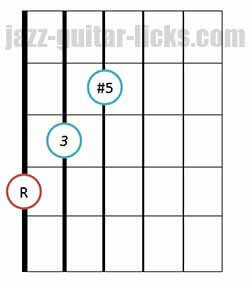 Here are 12 neck diagrams to play them on the guitar, including 4 root positions with basses on the 6th, 5th, 4th, 3rd strings and their related inverted chords. 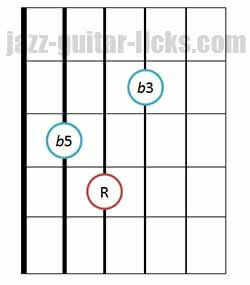 How To Play Minor Triads On Guitar? 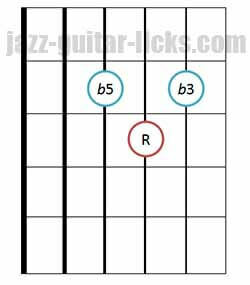 Minor triads are built with a root (R), a minor third (b3) and a perfect fifth (5). 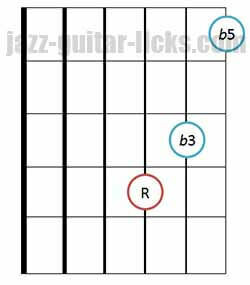 The 12 following diagrams includes 4 root positions with basses on the 6th, 5th, 4th, 3rd strings and 8 inverted chords. 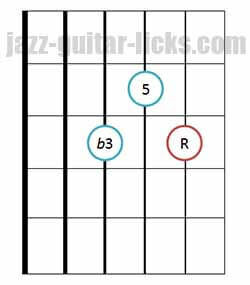 How To Play Diminished Triads On Guitar? 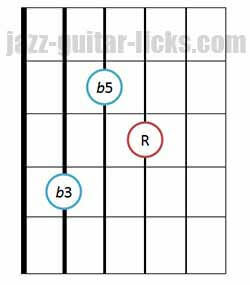 Diminished triads are built with a root (R), a minor third (b3) and a diminished fifth (b5). 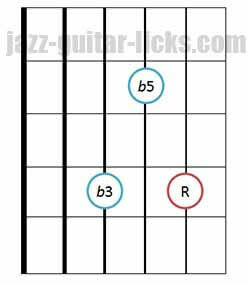 Here are 12 guitar diagrams including 4 root positions with basses on the 6th, 5th, 4th, 3rd strings and 8 inverted chords. 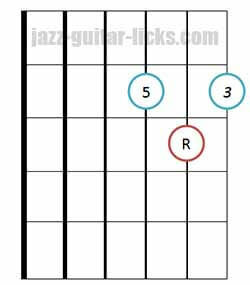 How To Play Augmented Triads On Guitar? 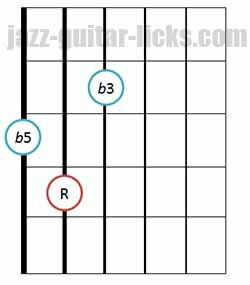 Augmented triads are built with a root (R), a major third (3) and an augmented fifth (#5). 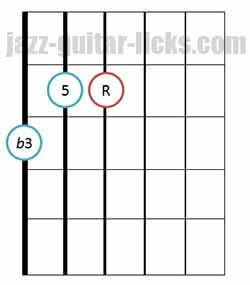 Here are 12 diagrams including 4 root positions with basses on the 6th, 5th, 4th, 3rd strings and 8 inverted chords to play on the guitar.